Aaron Neuwirth reviews Creed II, the continuing story of Michael B. Jordan's Adonis Creed, who now takes on his ultimate rival. The fact that Creed II is so good shows how tough the Rocky franchise truly is. Few films could get away with putting together a story so familiar, yet succeed anyway. More specifically, the idea of continuing a storyline that was spun off from the most over-the-top Rocky entry (Rocky IV) by way of the most ridiculous installment (Rocky III) is a bold move, to say the least. 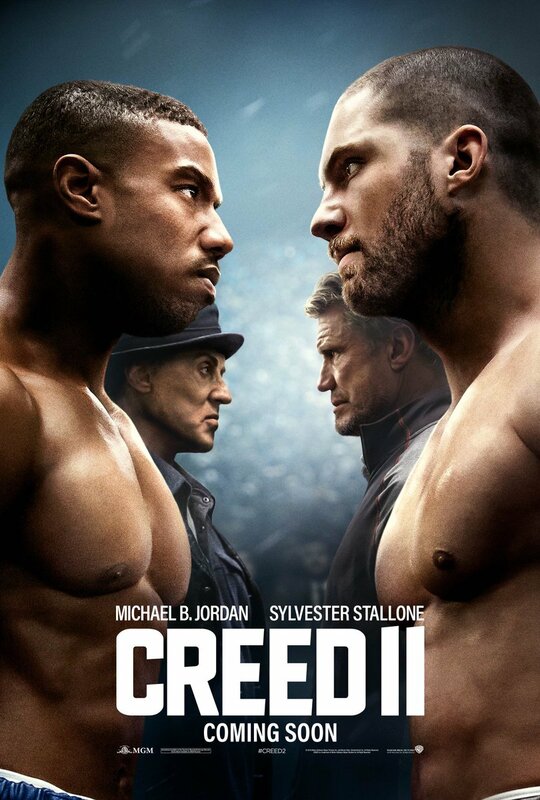 And yet, Creed II also trades in some of the flashiness (and freshness) of the initial entry in this side-sequel series to double down on character exploration. Outside of the fights, this is a quieter film, where the payoff has little in the way of surprise, but the journey still feels impactful. My level of satisfaction with this sequel has to do with defying expectations. I dreaded the move from an exciting personal project from director Ryan Coogler, which happened to be a part of a large franchise, to a film that was going to be just another Rocky movie. The thing to keep in mind is how entertaining the Rocky films tend to be, regardless of quality. That is the case here, but new director Steven Caple, Jr. does imbue this film with a strong familial theme, particularly in the case of fathers and sons. 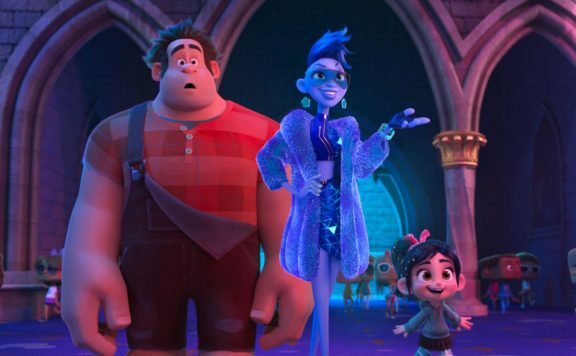 Perhaps I’m being too hard on the actual premise, given how this story would absolutely take place in real life, were circumstances in a position to mirror that of this film. After all, boxing promoters do like adding melodrama. 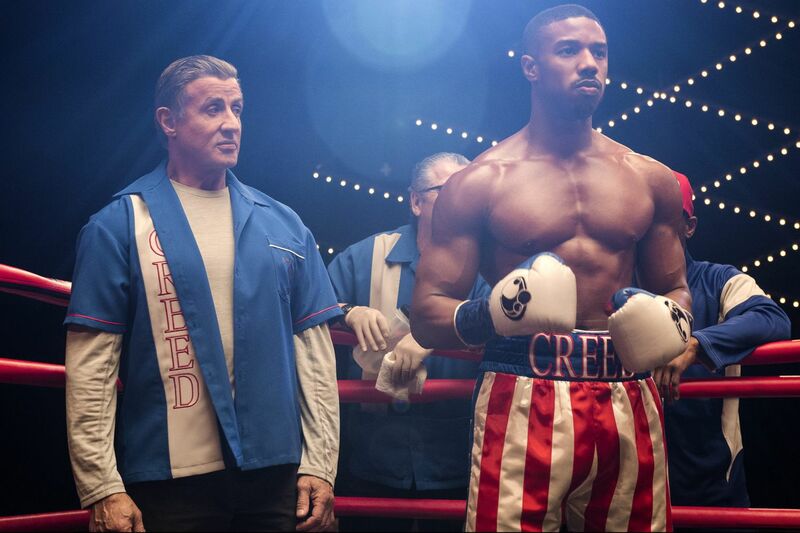 Adonis Creed (Michael B. Jordan) opens the film by becoming the heavyweight champion of the world, like his deceased father once was (and much like John Wick: Chapter 2, he gets his car back). 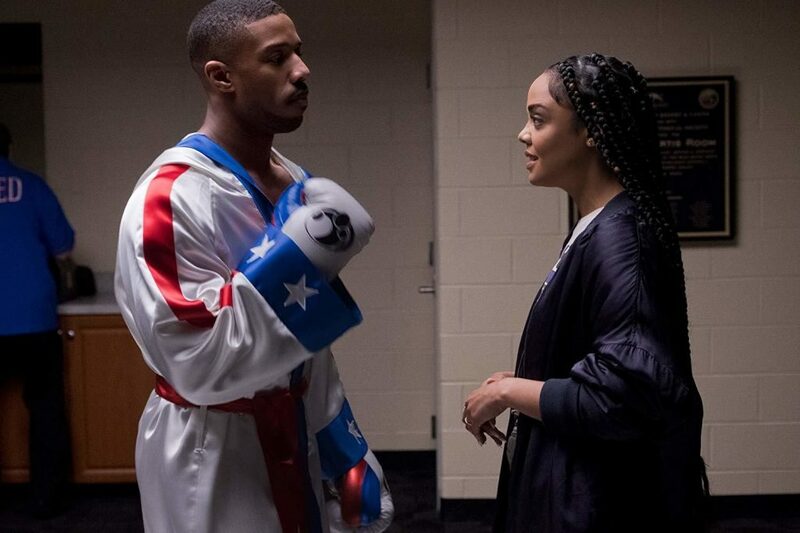 With Rocky (Sylvester Stallone) still in his corner, and things becoming more serious with his girlfriend Bianca (Tessa Thompson), there are still others with a challenge in mind. Specifically, the former Soviet champion, Ivan Drago (Dolph Lundgren), who has trained his son, Viktor Drago (Florian “Big Nasty” Munteanu) to break other boxers, much like Ivan did to Apollo Creed, three decades prior. To explain any more of this story would be a waste of time. Between the challenges, losses, rematches, and successes, Creed II not only understands most viewers will see where its story is going, it hopes they do. Even with some subversion of how Adonis and Viktor end their bouts, this is not a film unaware of how predictable it is. The fights are a means to an end, the culmination of the emotional build-up to them. They are entertaining to watch, and while I’ve seen seven other Rocky movies before this one, I was still bobbing and weaving in my seat, excited to watch Adonis hopefully overcome his latest opponent. That said, it’s not as if I couldn’t summarize much of the film, before even walking in. Still, much like the most successful entries in this franchise, Creed II succeeds thanks to its characters. Starting with Jordan’s works as Adonis, there’s plenty to take away from the roles presented here. At this point in his life, “Donnie” is still grappling with legacy and what it means to have that tarnished. He proved who he is to others at the end of the last film, but how is that still affecting him? Where does he fit when it comes to considering what his father died from and how those responsible are now calling him out? There’s also the matter of him becoming a husband and father. He may initially share a stubbornness similar to Rocky when he faced Mr. T’s Clubber Lang, but things take a turn for Donnie following an initial fight with Viktor that is much appreciated. And not for nothing, Jordan really bulked up for this film, more so than the previous Creed or as Killmonger in Black Panther. That physicality only adds to the film, as the training montages are at their grittiest here, thanks to the use of a desert locale late in the story, but the motivations behind it show the requirement of someone that needs to be quite sizable. It also adds to moments requiring a show of vulnerability. 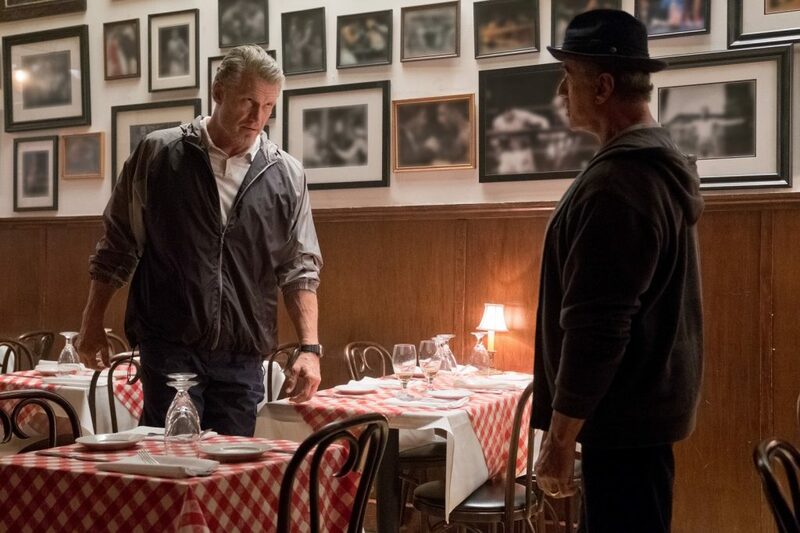 Much like when Stallone was still in fighting shape, adding emotional components to these Rocky/Creed films goes a long way to keep things believable to some degree when dealing with these heavyweights outside of the ring. Keeping the Italian Stallion in mind, Stallone continues to understand why Rocky is such an enduring character. It’s not a role that requires a lot of showiness or catchphrases (unless you count, “Yo”), though he is a bit folksy. Stallone understands this and underplays his mentor-figure role. He may have less to do here than in Creed, but the history that comes with the character says so much about who he is at this point in his life, and why it’s saddening when you see Rocky and Adonis argue over how to deal with the Dragos. A subplot involving Rocky’s personal life could have used more screen time, but the Balboa legacy is far from sullied, which is more than I can say for John McClane or the Terminator. With family being such a significant level of importance, Thompson also continues to shine next to Jordan. 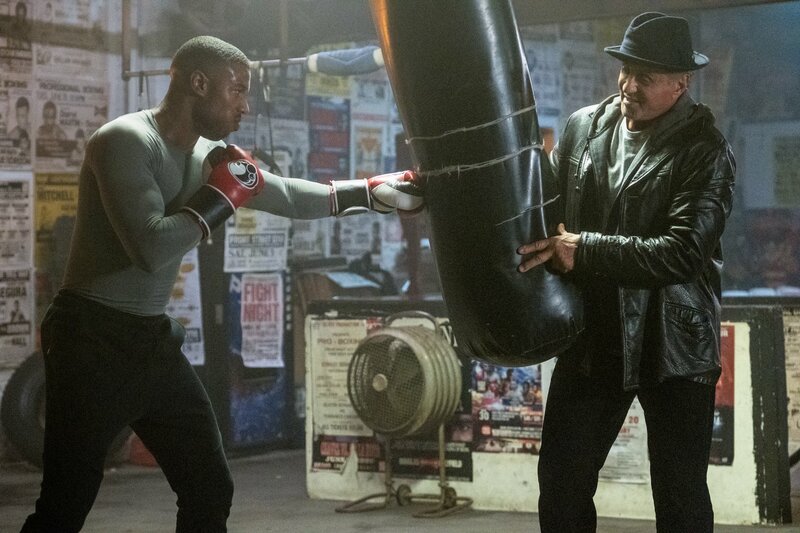 For a series that has struggled in the past with how to best utilize Talia Shire’s Adrian outside of the ring, these Creed films have done a lot to portray the bond between Adonis and Bianca properly. She still follows a pattern that exists with most wives/girlfriends of boxers in these sorts of films, but having conflicting thoughts about Adonis when it comes to his career as a fighter, and how it affects him and the family the two of them are starting together brings life to the film, outside of the fights driving the plot. 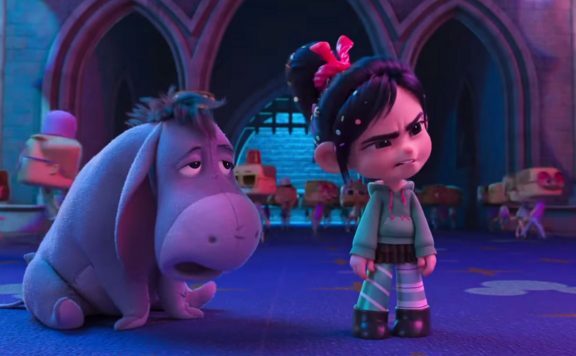 Further incorporating her hearing impairment and how that may affect their lives also played well into a movie that could have just as easily paid little respect to that established dynamic. Even the Dragos have something to offer this film, as their concurrent story puts a focus on how strict a father can be to his son for the sake of having one succeed where the other failed. Lundgren may have a master’s degree in chemical engineering, but my regard for him as an actor has never extended that far. That said, he has a presence, which is adequately tweaked here to provide an emotional resonance when, again, considering the history that stems from who Ivan Drago was and where the film places him now. Munteanu is more a tool than a character, but one can’t deny the level of menace seen in his eyes when facing off against opponents. However, there’s some affecting work going on between him and his father by the end of this film that didn’t go unnoticed. 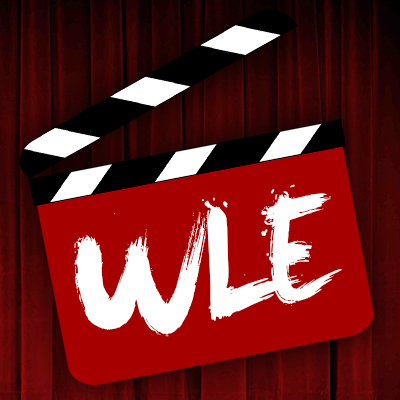 With Coogler inducted into the world of Marvel, Caple Jr. had quite the task on his hands when it came to delivering another solid sports drama. The results were more than competent. I may have missed the Steadicam work that provided a unique look to Creed, but there’s an excellent use of color and framing that helped Creed II lean into its themes effectively. The fights are still exciting as well, as Caple Jr. lets the camera show the power of the hits, even if some of the slow-motion shots ride the line of just how much of an involving human drama this is supposed to be. How much does it matter though, if the film can toe the line between being a character-driven drama, and a quality boxing movie? 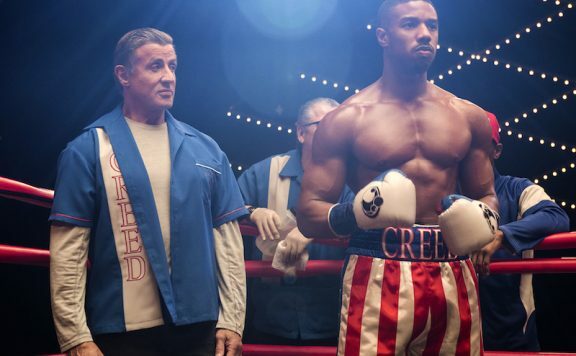 Creed II almost knocked me down by playing into its worst instincts as far as story direction, but the film picked me back up with its delivery. It shows the further evolution of Adonis, without losing track of the supporting characters. Caple Jr. does well in showcasing craft on this level. And we once again get to see one of the most iconic cinematic heroes continuing to shine, even if it is outside of the ring. There’s a lot to like about how this was all pulled off, which is why Creed II wins its match.